Swedish mantel clock in the Louis XVI style, circa 1800. 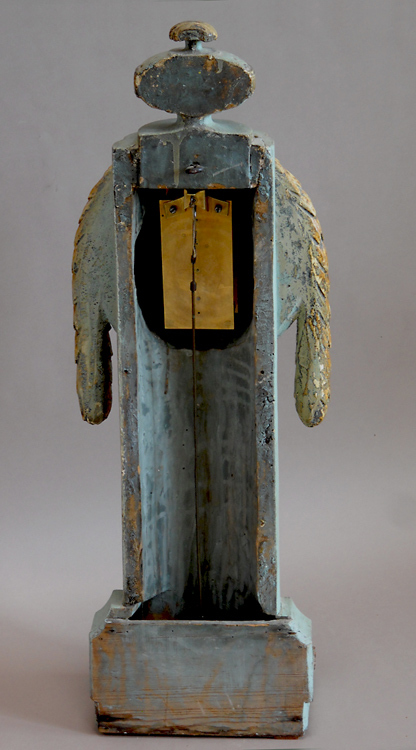 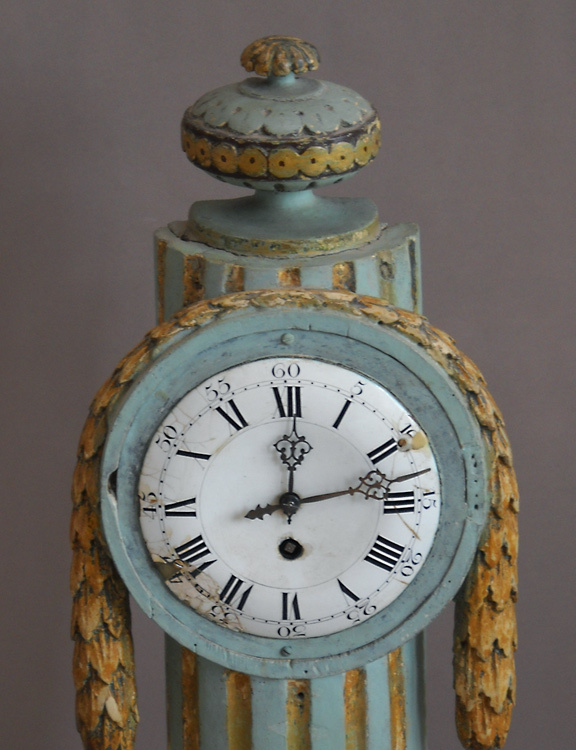 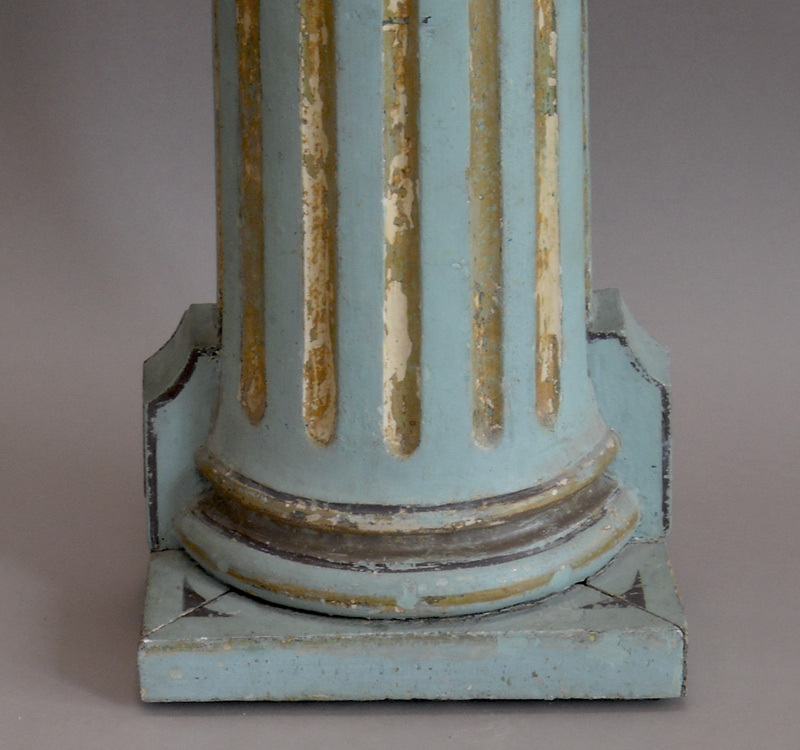 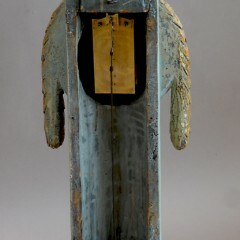 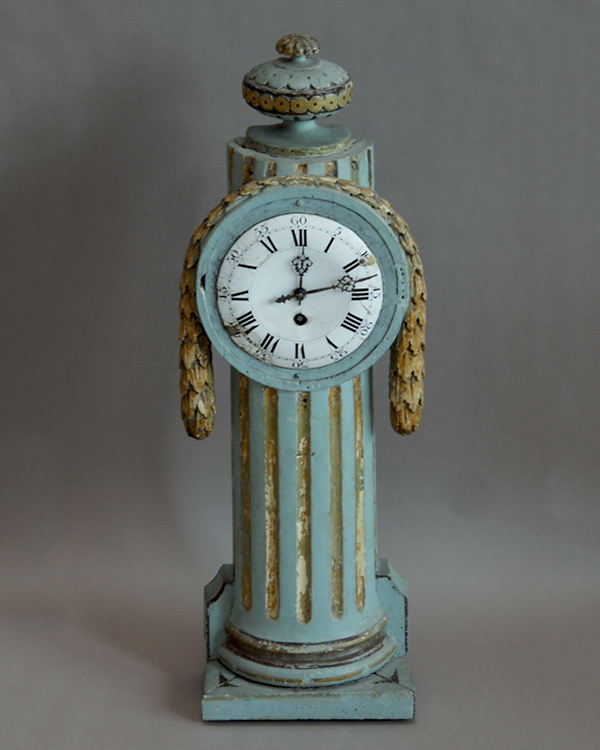 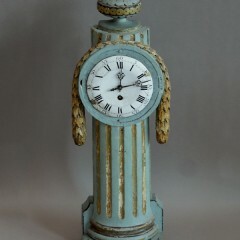 Clockworks are mounted in an open-backed column with carved swag and urn. 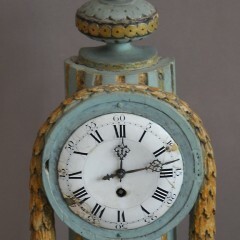 Original painted surface and clockworks.